This is truly an amazing photo. 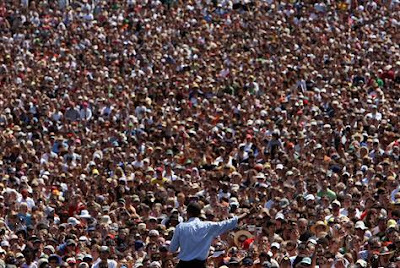 Barack Obama drew over 65,000 to a rally in Oregon. Reports say that another 15,000 couldn't get close. As much as I wanted John Edwards and then Hillary to win, it really is something to see the phenomenon that is Obama.